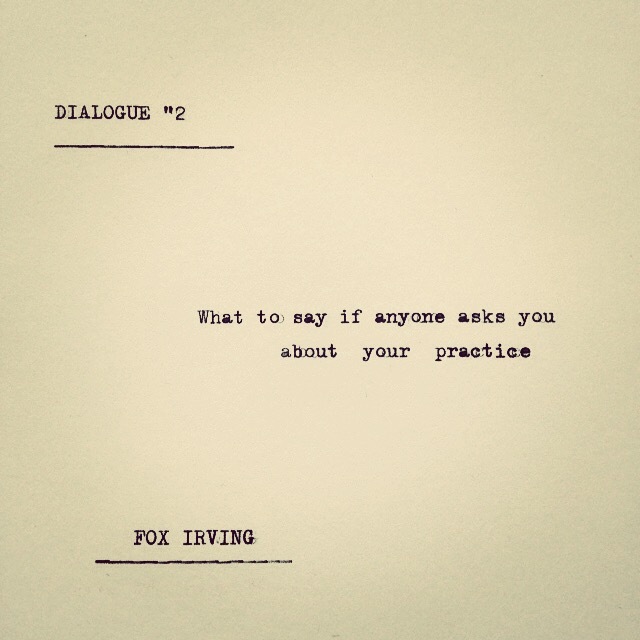 MA Book Arts student Dawn Irving aka ‘Fox Irving’ has prepared a special event for all at the MA Visual Arts Show 2015. 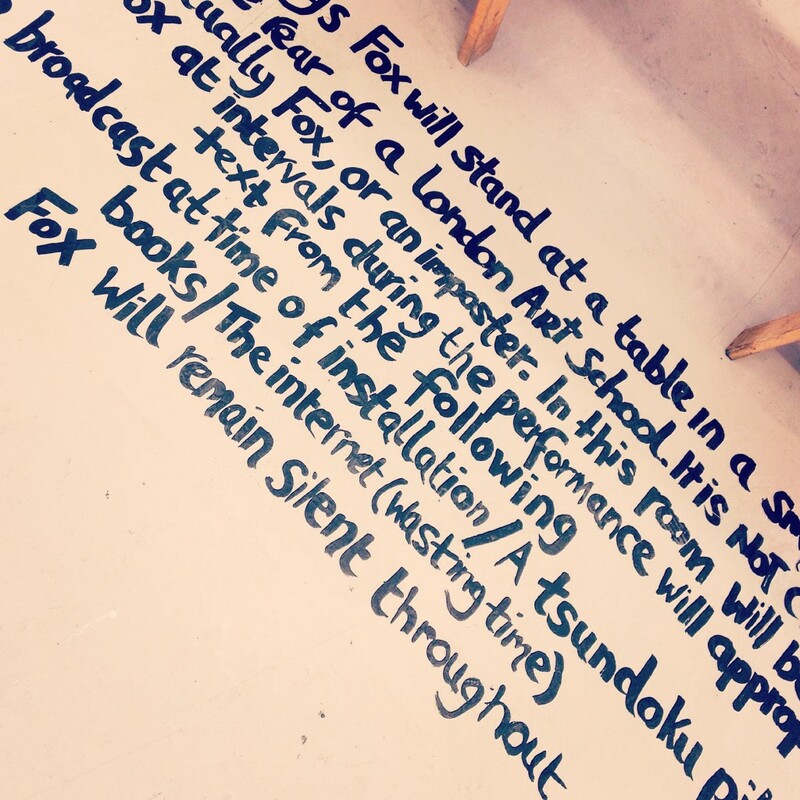 Each day during the show Dawn will be staging a live book production in her exhibition space at Camberwell. Here, she explains the inspiration behind her work and why her performances are not to be missed. A common theme that has emerged and developed throughout my MA is the use of appropriation and copying within my work. The addictiveness of this process, and the insistent nature of the language used, I found could be linked with the insistent process of book production and reproduction. For the final show I have now taken this a step further and moved into live performance. Every day of the show I will be performing this insistent process by bringing my studio into the gallery space and creating my own production line. Viewers will not know whether it is Fox performing or an impostor. In doing this I can play and swap my gender and in a way become genderless. My subject matter is very much political at the moment, and has taken a contemporary anarchic twist; let’s just say I am not afraid of the C word. The performance will begin as soon as I wake up in the morning and make my commute to college from Brighton. I will collect a stack of Metro newspapers from Peckham Rye station and bring them into college with me. I will then proceed to work on the newspapers; be it with household paint, Chinese ink to a Sharpie, all indicative of what medium I fancy using that day. I will be appropriating text from radio broadcasts, a pile of books and from the Internet (wasting time). Then at the end of the day, I will collect my metros and put them back into the stands at Peckham Rye and back into circulation. I am fascinated by the life span of the London newspapers and how quickly the news in them becomes old news and discarded, and the thought, who really remembers what they have read in the metro that morning? How has your time studying at Camberwell influenced and developed your practice? When I started at Camberwell I had a vague sense of what my practice was, but now I can walk into a space and everything comes together professionally. My confidence has grown, and I am able to talk about my practice with conviction. This is because of the crits, tutorials not just from my tutors but outside visiting tutors and a range of interesting and educational artist studio visits that make you ready for the outside world. I am at the point in which I am ready to move away from being a student and become a professional practicing artist! And I like the thought that one day Camberwell students may very well be visiting my studio for a visit. Do you feel ready for your performance? You can really prepare for your final show, but it’s not until you are actually in the space that things come together and from that new ideas and new directions. I love the spontaneity of performance and the different avenues it takes you and I certainly can’t say for sure what I am planning to perform now is what will actually happen when I am in the space. You can see Dawn’s performance during the MA Private View on Thursday 16 July 2015 from 19.00 and then on alternate hours during show opening times until Wednesday 22 July 2015.